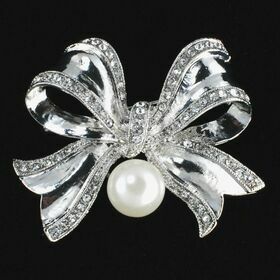 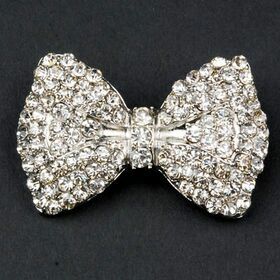 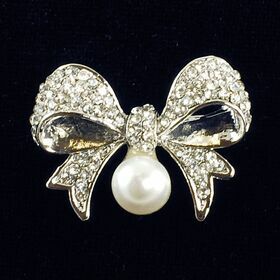 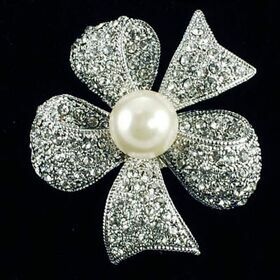 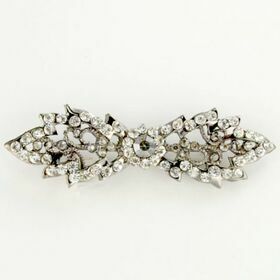 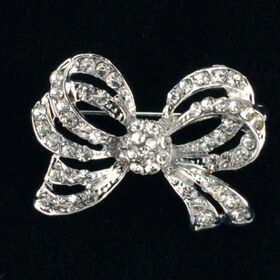 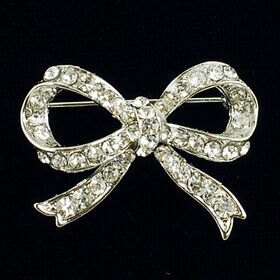 Fabulousbrooch.com offer beautiful bow brooches. 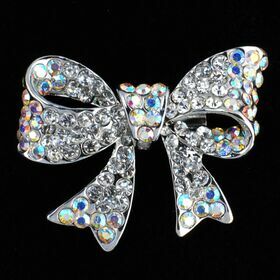 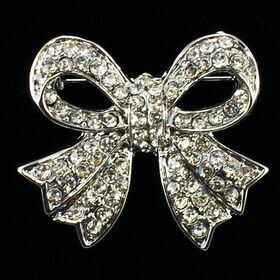 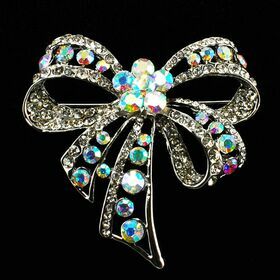 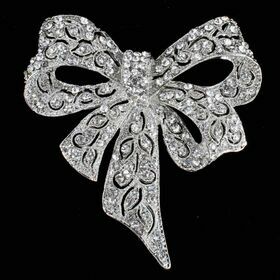 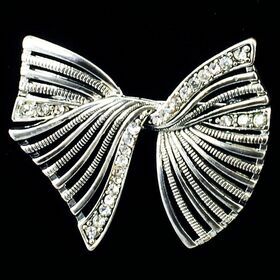 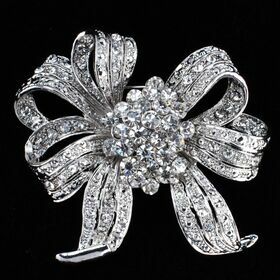 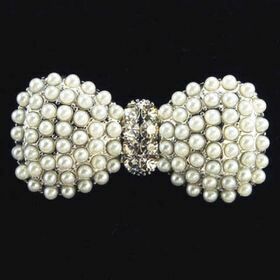 The bow brooches are designed with ribbon style and made of crystal rhinestone and plated in silver color. 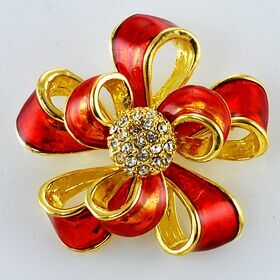 It is best for dress decoration and cake top decoration.